Looking to Sell Your Home? Don’t – Until You Read This! Selling your home is a high stakes game, so that is why it is so important you hire the best Realtor in your area! We are your Loudoun County Real Estate experts and one of the Northern Virginia Association of Realtors (NVAR) Multi-Million Dollar Top Producers! We are so confident we can get the job done that if you interview one of our competitors and then choose to hire us, you will receive $500 at closing! Yep, we will get you top dollar for your home PLUS give you $500 bucks! It’s a no-brainer! Want to know more? 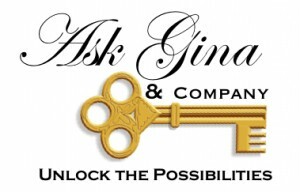 Contact the Ask Gina & Company team today and let us unlock the possibilities!